The Government today rolling out a relief package for local entrepreneurs announced the withdrawal of Telecommunication Levy on Internet data and duty reductions on single cabs, mini trucks and motorcycles below the engine capacity of 150cc. Finance and Mass Media Minister Mangala Samaraweera announced that the 10 percent Telecommunication Levy on Internet data would be completely removed from September 1. Samaraweera, addressing a press conference at his ministry auditorium along with his Deputy Eran Wickremaratne and Secretary Dr. R H S Samaratunga, said service providing companies had agreed to provide 10 percent additional data to their consumers in response to the Government’s move. “The ‘Budget 2017’ proposed to increase the Telecommunication Levy on Internet services from 10 to 25 percent. The Government decided to discard this proposal,” the minister explained. 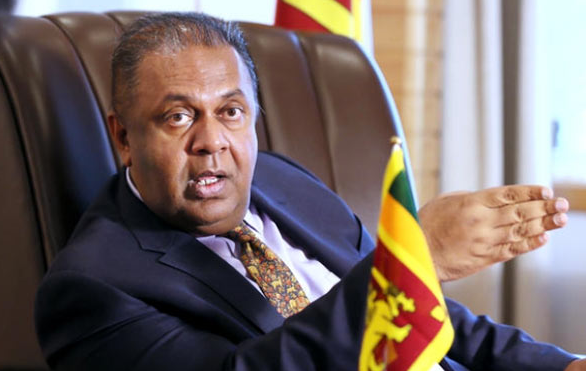 Samaraweera further said that he had on Wednesday (16) signed a Gazette notification granting special concessions for local entrepreneurs to overcome transport difficulties encountered by them. Accordingly, the minister said the sales price of single cabs and mini trucks would be reduced by Rs 300,000. The excise duty on single cabs and mini trucks has been brought down from Rs 1million to Rs 700,000. Ad-valorem excise duty rate of 90 percent has been completely removed for motorcycles less than 150 cc. Duty will apply based on engine capacity. Samaraweera predicted substantial price reduction would happen, particularly for Japanese motorcycles. “The Government expects a new breed of entrepreneurs to boost local production. Sri Lanka is doing well amidst extreme weather conditions and unfavourable global economic conditions. This was also stated by the IMF and World Bank in their reports. We hope the newly announced duty revisions will add impetus to our economic growth,” the Minister noted. The minister also unveiled eight loan schemes with concessionary interest rates for several selected sectors based on a budgetary proposal for the year 2017. Among them are “Ran Aswenna” and “Govi Navoda” loan schemes for those involved in the agricultural sector, “Riya Shakthi” loan scheme for those involved in school transport service, “Rivi Bala Savi” loan scheme for the promotion of solar power, “Diri Saviya” loan scheme for those involved in poultry farming, “Jaya Isura” loan scheme for those in the SME sector, “Madya Aruna” loan scheme for journalists and “Sonduru Piyasa” housing loan scheme for low income families. “The Government has set aside Rs 4.4 billion this year for interest subsidies of these loan schemes. We expect about 50,000 new employment opportunities by providing these incentives,” the minister added. The Government’s special announcement coincided with the two years’ completion of the unity Government formed following the General Elections on August 17, 2015. “Two years ago, people voted us into power to put a full stop to crony capitalism and drive the country’s economy towards the path of social market economy. We are gradually delivering on our promise and the foundation for a strong economy is being laid,” the Minister commented. Elections on the horizon...! Do not be fooled..!! Do the right thing for your country..! !